Spring Jam begins April 15 at 10 a.m.
90.3 WESS FM, East Stroudsburg University’s Radio station, will be holding their fifth annual Spring Jam on Saturday, April 15. Spring Jam is a twelve-hour-long music festival held live on air showcasing the celebration of local and underground music. The event kicks off at 10 a.m., running until midnight and will feature over 12 live interviews and performances ranging from bands and artists located right here in the Stroudsburg area, to bands and artists from all over the country. The line-up for Spring Jam spans a variety of genres as well, including artists and bands focused in rock, rap, hip-hop, indie, Americana, alternative and more. Local artists and bands attending the event include the Jesse Morales Band, a six-piece from the Mt. Pocono area focusing in blues and neo-soul; According to Columbus, a three-piece garage rock band from Stroudsburg and Head Spell, a three piece emo-inde group from Pocono Summit. Other bands and artists to make an appearance at the event include Brian Erik, a former member of the power pop/alternative three-piece, The Paper Jets, along with Jesse Elliot, a blues singer and guitarist, both from New Hope Jersey. The ska-infused psychedelic four-piece, Mongooch, will also be there along with their friend’s from the Disposable, a surfer-rock punk three-piece, and Lorg, a three-piece jam band, all from the Clifton to Mont Clair area of New Jersey. The singer song-writer, Austin Halls, will open the event along with the singer-songwriter Liv Willinski. New bands and artists to attend the event include the Allentown-based three-piece, Tantra, featuring Patrick Leaver, a former ESU graduate, along with the post-punk revival two-piece, We Have Ghosts, from Philadelphia. Listeners can catch 90.3 WESS FM’s fifth annual Spring Jam on Saturday, April 15, from 10 a.m. to midnight via the radio, or they can stream WESS over the web at tunein.com/radio/WESS. Those who cannot listen to any of the interviews or performances at their original times can listen to internet podcasts of the event by going to Radiofreeamerica.com and searching WESS. Want to take WESS with you wherever you go? 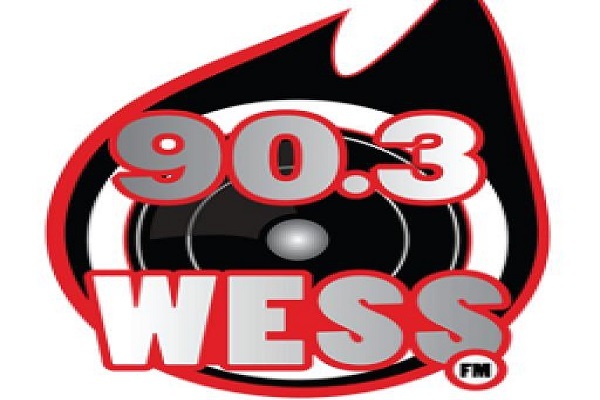 Listeners can download our live streaming App, 90.3 WESS FM, on the android market through the Google Play Store.